Add style to your bedroom with the Fog & Seagrass Seven Drawer Chest. 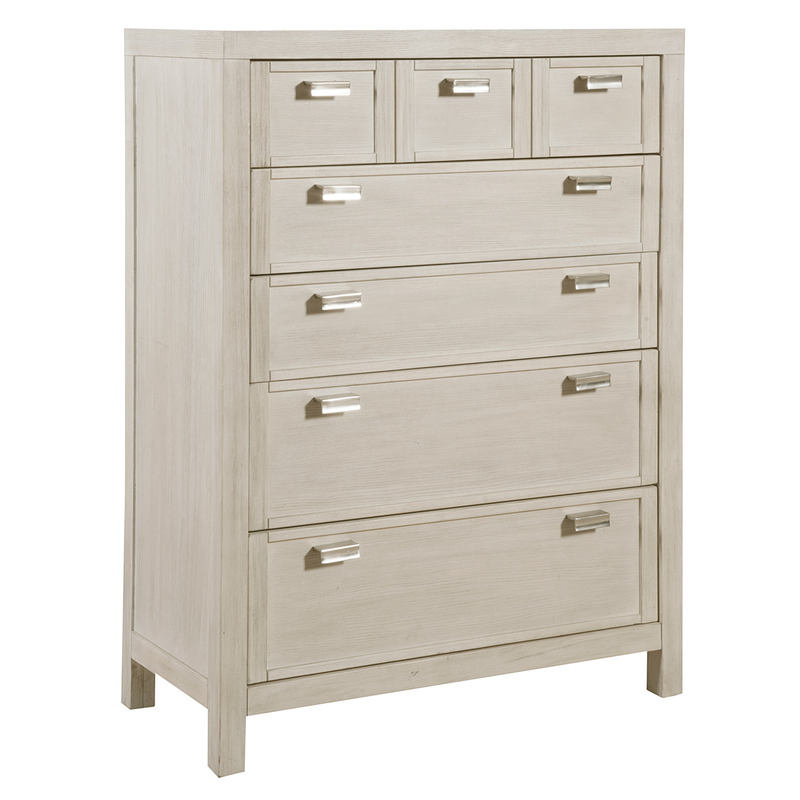 This chest of drawers features a casual contemporary design featuring clean lines and a sleek profile with smooth polished nickel plated hardware for coastal flair. 38"W x 18"D x 52"H; 112.4 lbs.